“Writers Matter – A Documentary” premieres and spotlights young writers. The doors opening for the premiere of Writers Matter – A Documentary. 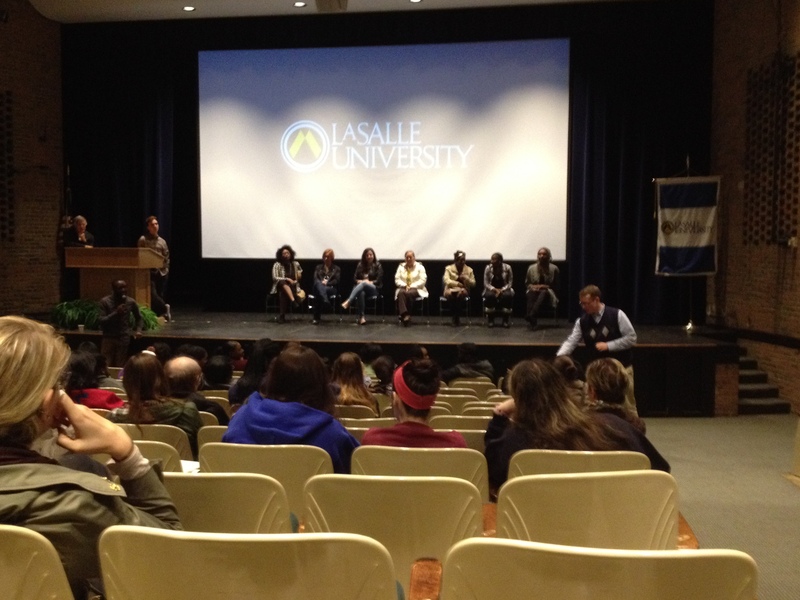 On Sunday night, La Salle University premiered Writers Matter – A Documentary about Writers Matter, an after-school program that puts an emphasis on writing as an emotional outlet. La Salle Professor Bob Vogel created the program in 2005 after meeting with Erin Gruwell, the teacher who compiled the book Freedom Writers from her inner city high school students’ poems and short stories. The Writers Matter program has been in 15 schools, 42 teachers have participated and helped over 2,000 elementary and middle school-aged students in Philadelphia, Israel and soon India. 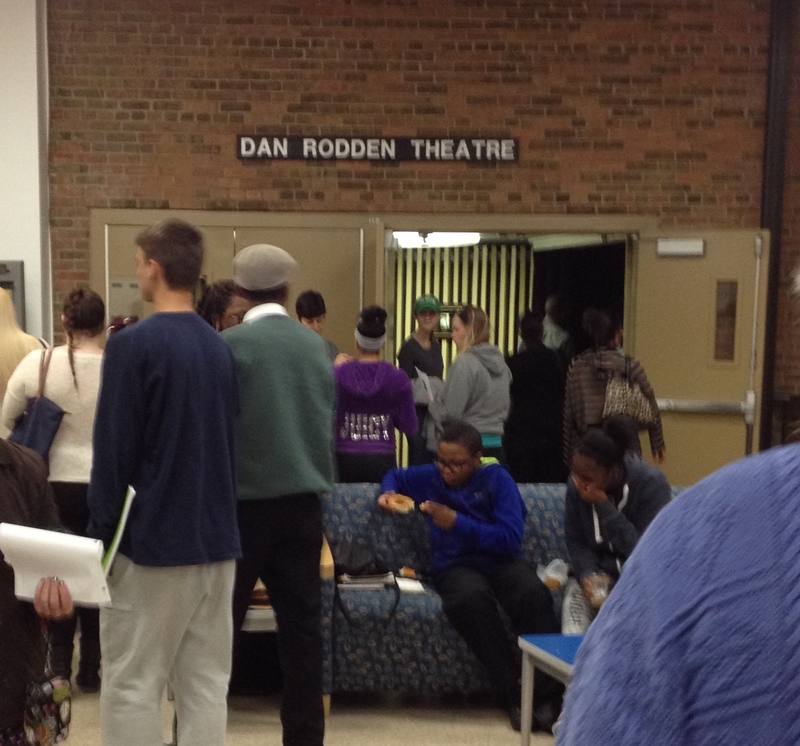 Around 60 adults and middle school students gathered in the Dan Rodden Theater on La Salle’s campus on November 1 to see the documentary that shows a school year of Writers Matters at Wagner Middle School in North Philadelphia. The film weaves in interludes of the young baby-faced Wagner students looking into the camera and reciting or reading their short stories or poetry. Their heavy subject matters range from being institutionalized and medicated, explanations of the imaginary masks they wear to survive, to heartbreaks from a parent being taken away from them. Their depth and introspection is put on paper with the help of La Salle student mentors and Wagner teachers that attend a monthly Writers Matters meeting for helpful tips to warm up students to expressing themselves in a judgment-free zone in school. The writing program doesn’t put emphasis on grammar, but on creative expression. The documentary also hears from the mentors and teachers at Wagner that participate in the program. The undergrad students mostly reiterate that the lackluster Philadelphia public school budget and crime-filled neighborhoods surrounding Wagner are unlike their own background, but the children’s depth, creativity and growth opened their eyes to what it was like to live in not-so nice neighborhoods of Philadelphia. 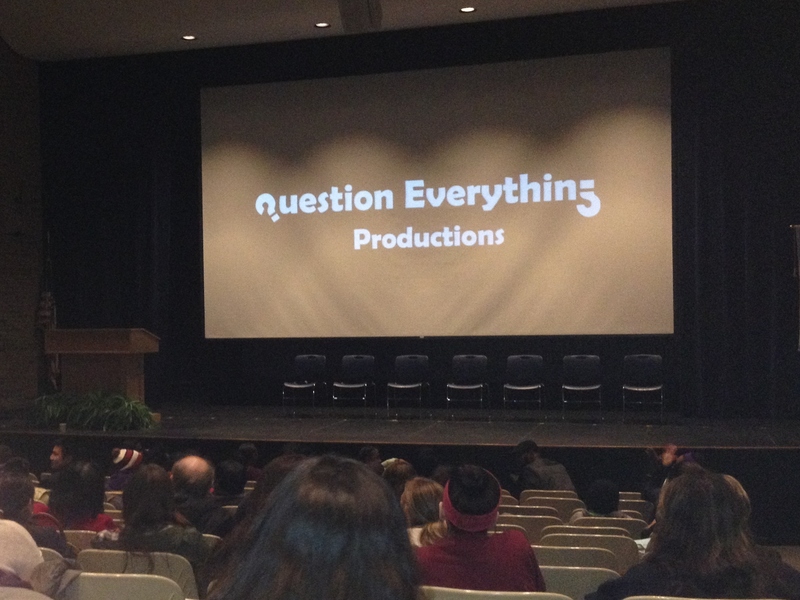 The panel listens to a question from the audience. The documentary is full of standard statements that are similar to what you would see in other documentaries about schools in poor neighborhoods such as Waiting for Superman, the film Freedom Writers and the Frankford High School-based documentary Pressure Cooker. That’s not to say that the Philadelphia public school’s budget isn’t drastically underfunded or constantly threatened with financial meltdowns, or that 100% of Wagner’s student population in 2014-2015 wasn’t economically disadvantaged, but Writers Matter – A Documentary differentiates itself when it leaves the idea that the students only face inner city tragedies. Wagner Principal Maya Johnston says in the film that one of the easiest things for a middle school student to do is to talk about themselves and that’s when Writers Matter: A Documentary separates itself. The students’ declarations in poem-form of who unequivocally they are and the self-reassurance against feelings of being overweight lift the film from being just a documentary about facing crime as a child in poor sections of a city. Writers Matter – A Documentary was directed/produced by Nitsan Tal. The film is currently being shown at film festivals and is looking for distribution. The roughly 48-minute film concluded with applauds and cheers and a questions-and-answers panel with three Wagner students/co-stars, director Nitsan Tal, Associate Director for Writers Matter Dr. Kimberly Lewinski and two La Salle mentors on stage. A majority of the statements aimed at the panel were congratulations to the students and encouraging more programs similar throughout the city. “No positive youths can make the front page,” recites a young boy at Writers Matter’s first poetry slam towards the end of the documentary but in this documentary, talented youngsters are the stars.